what would the tributes drink? 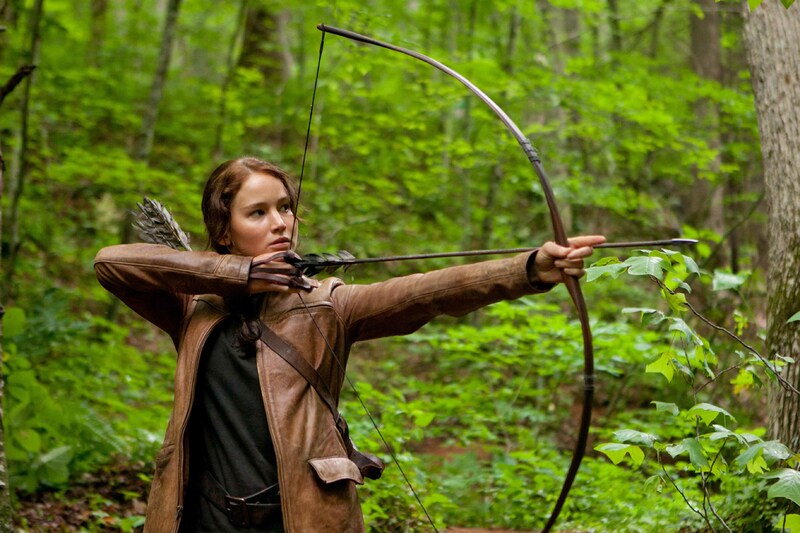 Saw Hunger Games last week. Yeah, that’s right, grapefriend’s pretty baller. Loved the books, loved the movie, loved the idea of each of the 12 districts making wine. Ok, obviously the Capitol would never allow that, but grapefriend is embracing the fantasy genre so just roll with it. Since each of these districts produces one basic category of goods, what wines would they make? Let the drinking games begin! For the district that makes luxury items for the Capitol, you have to go for something decadent and complex. Joy! is an awesome Sparkling Cuvée from Iron Horse ($189), and it’s produced only in magnums (double bottles). Couldn’t you totally picture President Snow sipping on some Joy! as he watched the Hunger Games go down? The big risk of working in stone quarries is the landslides that always occur. District 2 would honor the fallen with 2008 Simi Landslide Cabernet Sauvignon ($30). This is an all mocha and blackberry Cab. This is Cato’s district, and as a Career Tribute he knows a good berry from a bad one. Renacer’s a vineyard in Mendoza, Argentina, an area known for its Malbec. The winery has tons of state of the art technology and uses a relatively new technique called ECM (Electromagnetic Conductivity Measures). This helps collect soil data and maps out how it varies across their vineyards so they can plan new vineyard development. Oh also, their Punto Final Reserva Malbec ($15) is really good – dark cherry, rustic, lots of grit. In the fishing district where even bread has green seaweed tint, you’d have to make a wine that goes with sushi: enter Riesling. One like Clean Slate ($11) benefits from the Mosel region’s steep slate soils. It’s crisp, awesomely acidic and has just enough sweetness to counter all that wasabi! Gotta roll with a big, powerful red here of course. And what wine’s more powerful than Petite Sirah? A wine with 85% Petite Sirah and 15% Petit Verdot – like Michael David Petite Petit ($18). It has full-bodied tannins and killer backbone under dark cherries, herbs, and leather. Plus I love the two elephants on the label. What I love about wine is how awesome it is, and how really amazing ones can transport you to a new mental place, like a dream. District 6 would make something like Domaine Carneros’ Le Reve sparkling wine ($95) – a Blanc de Blancs (you know what this is by now – all Chardonnay, though sometimes Domaine Carneros throws in some Pinot Blanc) that’s pretty damn dreamy. If you’re the wood kings of Panem, you’d definitely make a wine aged 100% in oak. Franciscan’s Cuvee Sauvage Chardonnay ($40) fits this bill (all French oak, 86% new, for 14 months), plus it’s savage just like so many of the tributes! 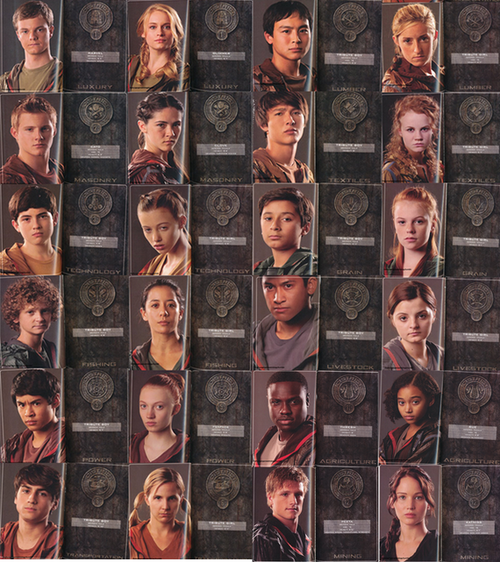 The tributes each get their own stylist to attract sponsors, since their district clothes are less than appealing. Makes me wonder if Lagerfeld would approve of Cinna’s fire costumes. Regardless, I think District 8 would ask Karl to design their wine label just like the one he did for the 2009 Rauzan-Segla. You can be pre-order this Bordeaux for $129, but it won’t be available until later this year or 2013. The Bordeaux futures reviews call it toasty, with plum, melted licorice and warm fig flavors. Yumballs. Carmenère is a grape that went through its own “Dark Days”: when the phylloxera disease almost made it extinct, and also when it got tossed aside as one of the main grapes in the original Bordeaux blend. Try Casa Silva’s 2009 Carmenère Reserva ($12) to see what graininess feel like on your palate, along with favors of licorice, cracked pepper, and concentrated blackberry. If your main deal is livestock, you need a wine that would go well with beef! A Sangiovese-based Chianti like Castello di Bossi Chianti Classico ($20) has the acid to cut through the richness of the steak without overwhelming it. District 11 is surrounded by orchards which helps them produce all that food. Beckmen Vineyards Le Bec Blanc ($18) – made of Marsanne, Roussanne, and Grenache Blanc – is like a liquid version of orchard fruit with its gorgeous aroma and taste of apricot, ripe pear, and apple. You might as well be daydreaming under one of those fruit trees, but you’re not, you’re drinking a super delicious, easy wine. And you won’t even get in trouble with the Capitol for slacking off under the tree. Given all the fatal mayhem with collapsing mines etc, I’d like to think a District 12 winemaker would aim to reduce their overall environmental impact and be carbon neutral. 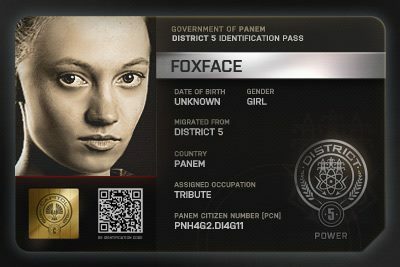 This is Katniss’ district, and doesn’t she seem like the kind of girl who’d be into that? Well in Oregon, a bunch of wineries created the Carbon Neutral Challenge to commit to reducing carbon footprints of their wineries and vineyards. Stoller Vineyards was the first complete winemaking facility in North America to earn LEED certification by the U.S. Green Building Council and checks out stuff like a barrel washer that uses less water. (More on all of these amazing green winery efforts next month around Earth Day.) Anyway, you can feel really good about grabbing Stoller Vineyards’ 2008 SV Estate Pinot Noir ($40). May the odds of drinking good wine be ever in your favor. Tags: cabernet, carmenere, cato, chardonnay, grenache blanc, hunger games, katniss, malbec, petite sirah, riesling, Sangiovese, wine. Bookmark the permalink. Brilliant…absolutely brilliant. Wonder what Haymitch would think? I loved this movie and the books. Thanks to my 13 year old for introducing me to this series and to “grapefriend” for this fun post! Cheers! Super fun post to put together! Thanks! Keep drinking well, love the spirit! Hello grapefriend, I see you liked my post though I declared the writer a teetotaller! You a psychedelic? Hehehehe! Nice meeting u. Nice trick with the thirst games.